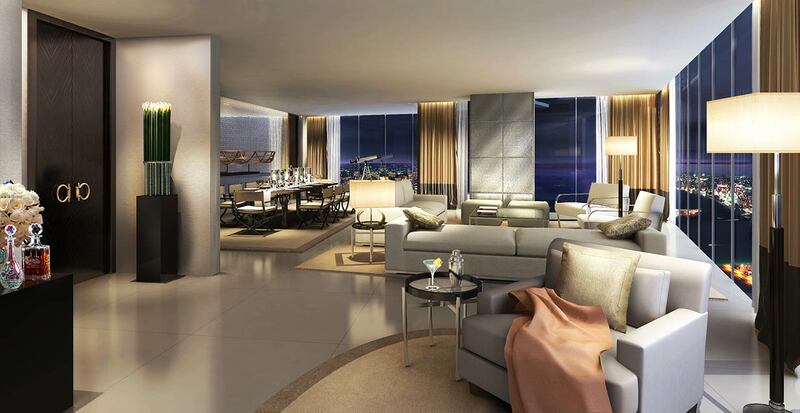 The Pentominium residential project in Dubai is positioned as the “Defined Height of Luxury”. It will be a true bouquet of luxury with the brand association of the likes of Bang Olufsen, Swarovski, Tiffany & Co, Six Senses, Davidoff and others. A first ever in a residential proposition. 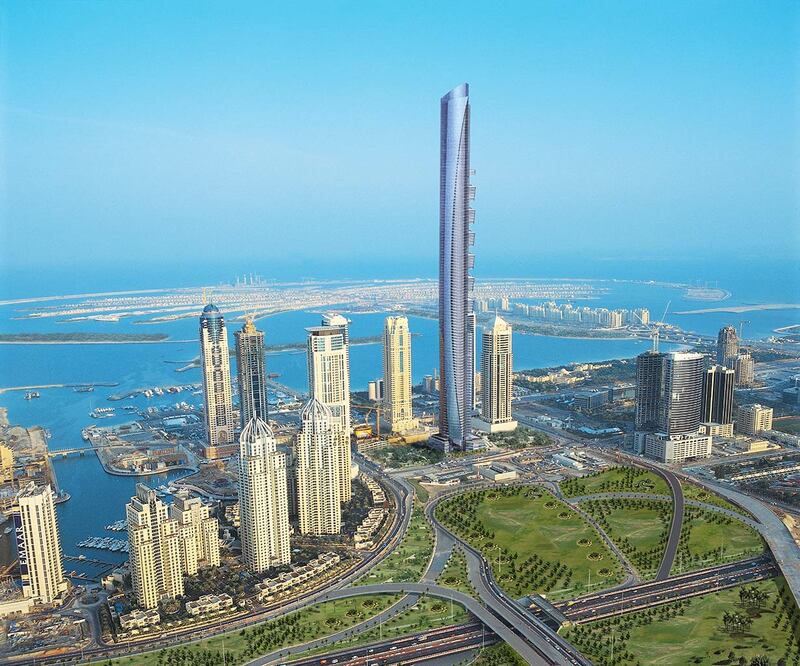 In a city of superlatives, the 516 metre tall building in Dubai Marina and its 120 floors will overshadow every other residential development in the world. 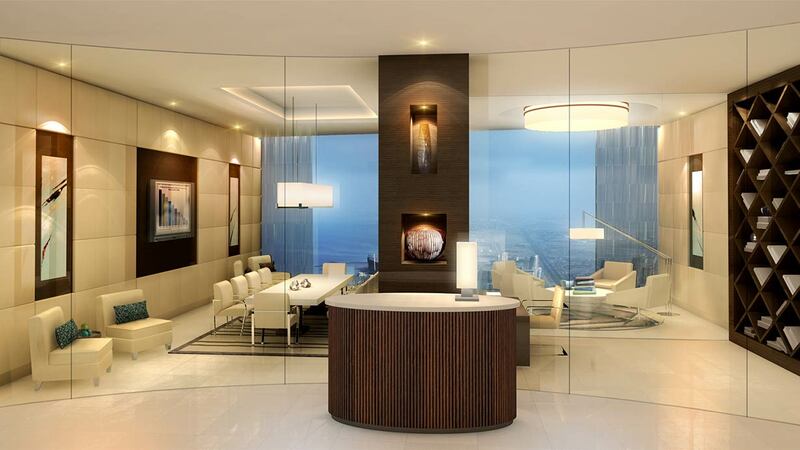 The building will be iconic, and its residences exceptionally exclusive. Owners will be living in a piece of legacy that is a true rarity in terms of property for sale in Dubai. The Pentominium is a completely unique concept created by combining a penthouse with a luxury condominium, which means that each residence spans an entire floor. 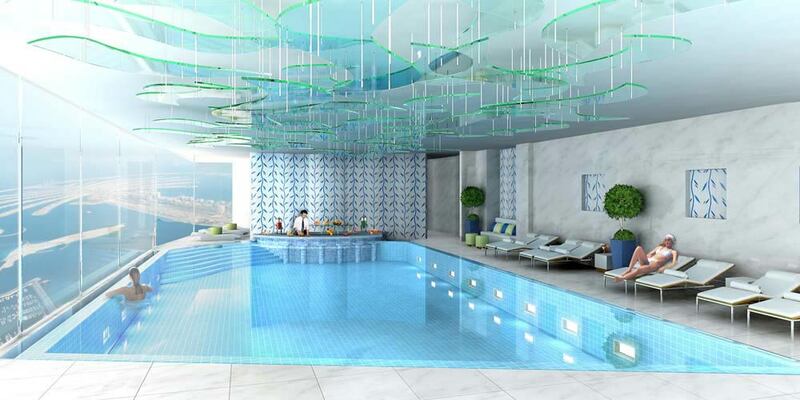 The top floors of the world’s only Pentominium will contain a sky lounge, sky pool, business centre and a private observation deck along with ladies & gentleman’s health clubs, squash courts, a cigar lounge, a banqueting hall and private theatre. The Pentominium is expected to become the most sought after address in the world, a signature to the status of those who have reached the very pinnacle of success. Each individual residence will take up a complete floor of the tower providing over 6,500 sq.ft. 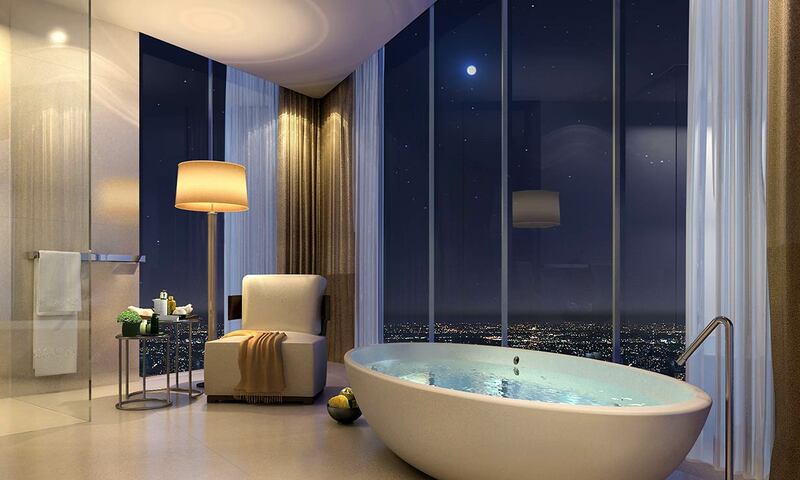 of unsurpassed luxury. 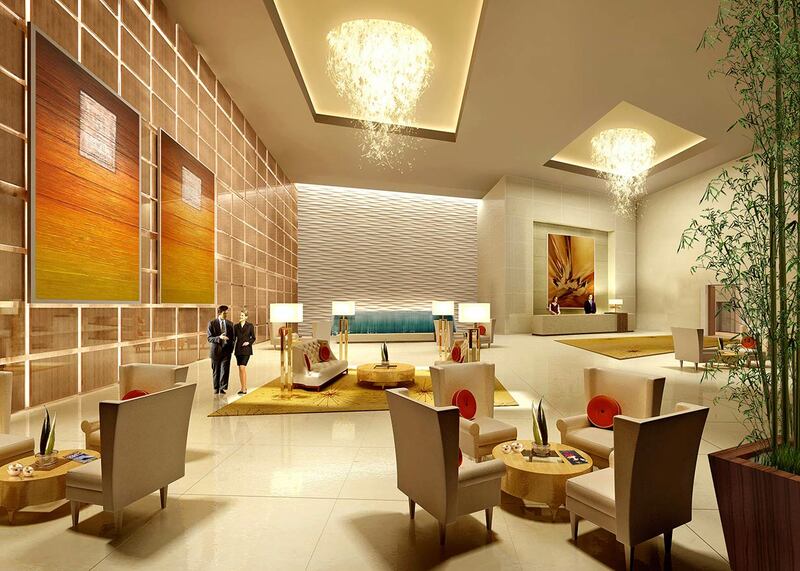 Each floor will have a private foyer of its own and smart biometric access control. Taking the element of luxury living spaces to another level, entire floors will be uniquely suspended in mid air, giving the impression of floating penthouses in the sky. The Pentominium penthouses in Dubai are being designed by award-winning and world-renowned architects and designers Aedas. Based in Britain, with offices around the world, Aedas is responsible for a number of striking buildings and developments in Dubai and across the Gulf already. 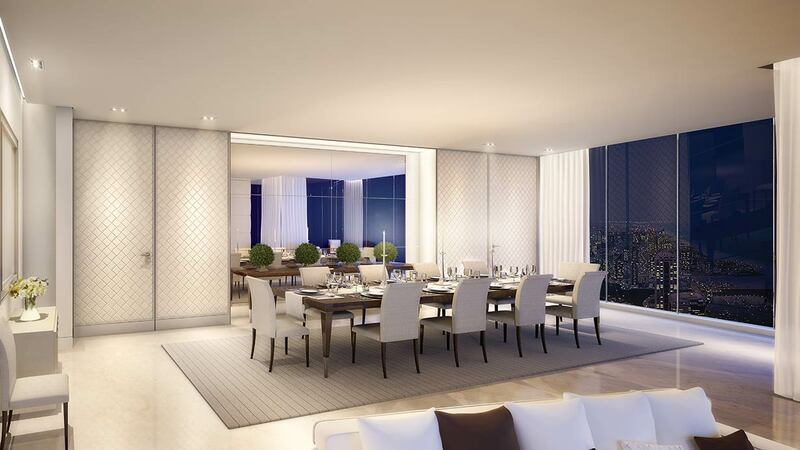 The stunning interior design of the penthouse tower will be undertaken by Hirsch Bedner & Associates, who are the exclusive designers of Ritz Carltons, Grand Hyatt & Four Seasons worldwide. Lead by Howard Hirch, who normally focuses his undivided attention to one to two projects a year, the Pentominium is going to be his masterpiece. Pentominium will be no more than 500 metres from the waterfront at Dubai Marina, which is one of the world’s most luxurious waterfront communities and also the most sought after location for Dubai property for sale. 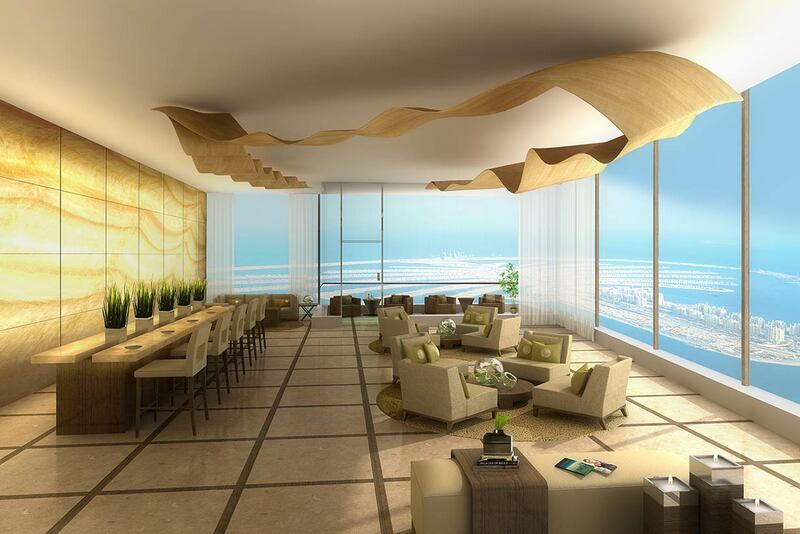 For the pinnacle of ultra-luxury living, there will be a select number of penthouses with bespoke design of Salvatore Ferragamo. 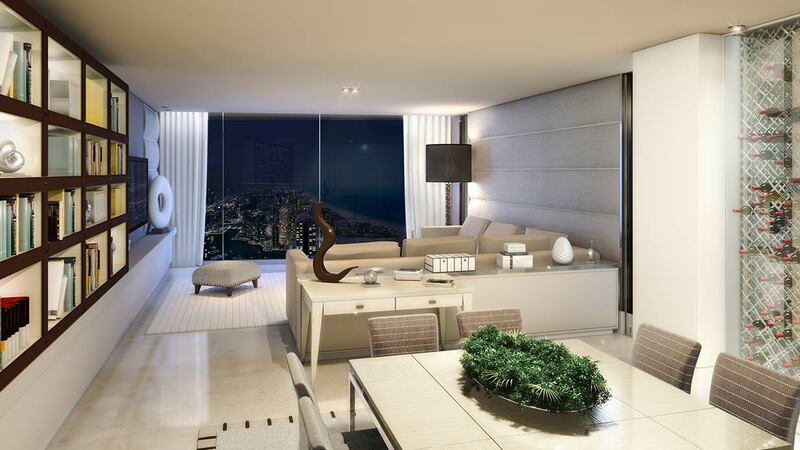 The Salvatore Ferragamo penthouses are fully furnished and include everything required for a privileged lifestyle. 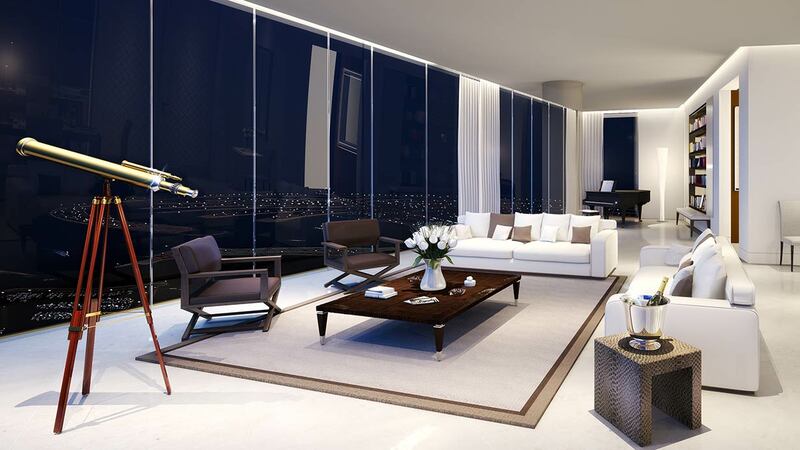 State-of-the-art 50″ LCD TV, Bang & Olufsen home theatre system and custom designed Bulthaup kitchen with top of the range appliances from Gaggenau are some of the highlights of these supremely elegant penthouses for sale. 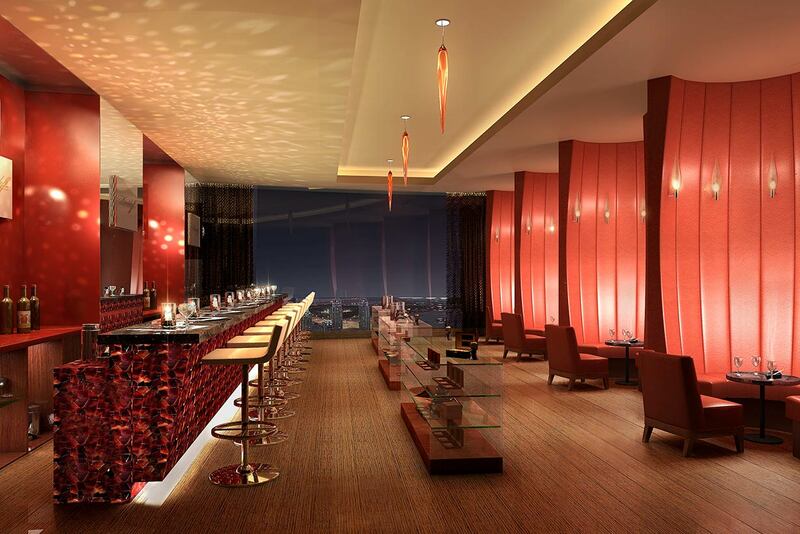 Buyers will also be able to choose between a Baby Grand Piano or a bespoke cocktail bar. For an elevated approach to sophisticated city living, penthouse buyers will also enjoy the opportunity to have an exclusive consultation with an interior designer from Salvatore Ferragamo for soft furnishing selections. 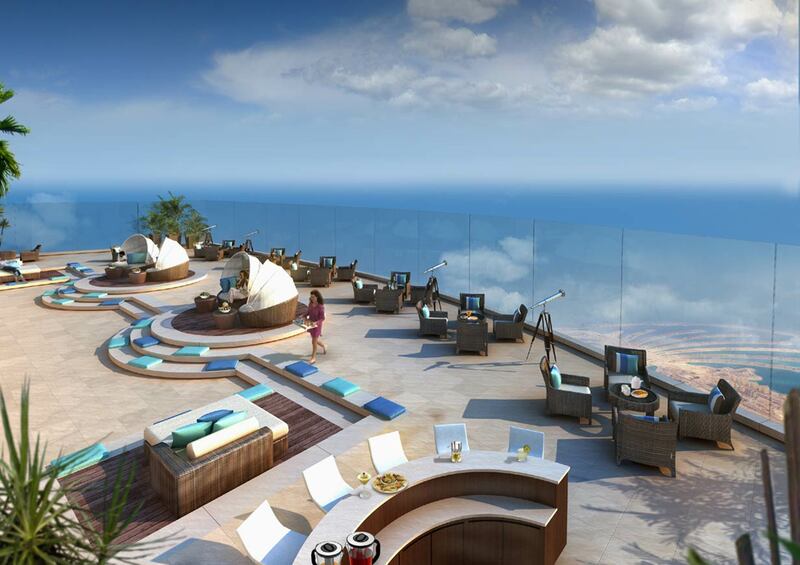 In addition to the bespoke interior, residents will also have full access to the private Ferragamo Beach Club at The World Islands. 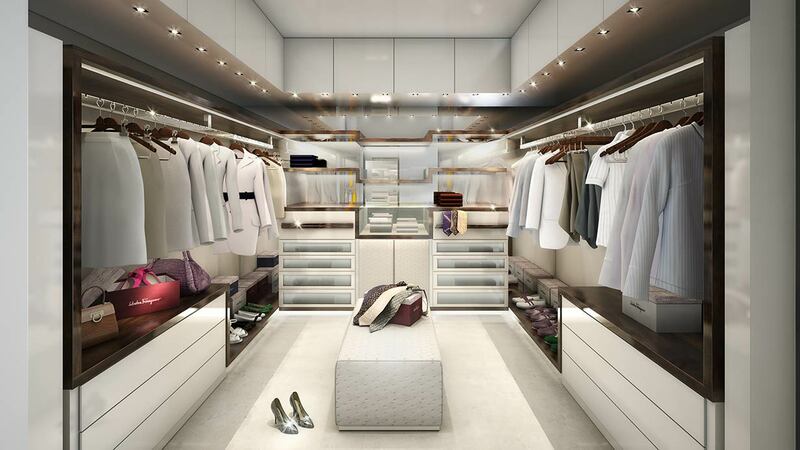 Owners will also have access to a yacht styled and designed by Ferragamo. 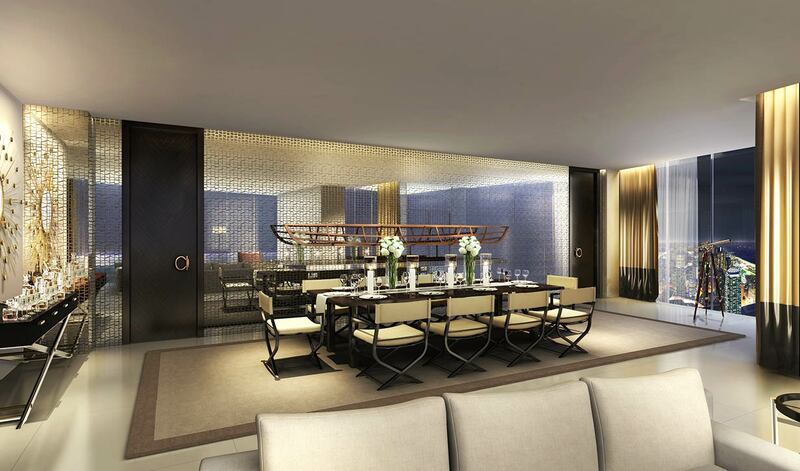 All residents in the Pentominium penthouses in Dubai will benefit from a dedicated Concierge Service by Quintessentially, the international private members club. It will be available 24 hours a day to meet any requests whether locally or across the world. Through a series of unique alliances, Pentominium owners will have the rights to use a fleet of premium automobiles including a Rolls-Royce Phantom that comes as part of the Pentominium experience along with legendary Azimut yachts for leisurely trips across the Gulf. Residents will also be granted a membership to an exclusive car club. The residential property’s spa will be run by Six Senses Spas, who are the operators of a number of premium world-class health resorts around the world including the multi-award winning Soneva Fushi in the Maldives, itself one of the Top 10 spas in the world according to Forbes. Swarovski will crystallize all public areas, while the Pentominium’s business lounge -overlooking The Palm – will be decorated with exclusive Tiffany accessories. A truly iconic residential development, Pentominium penthouses in Dubai will be setting a new standard of city living unsurpassed anywhere in the world. 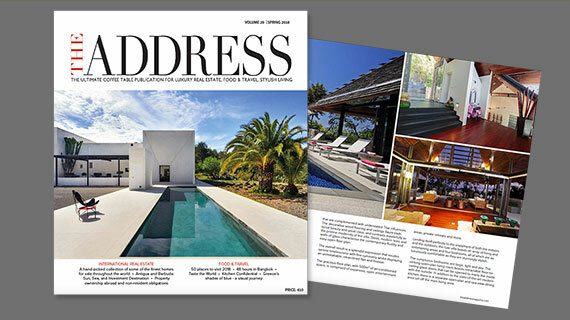 Click here for more articles about luxury real estate in Dubai.